Competing for the first time ever, the Kwantlen School of Business made it to the finals of the Inter-Collegiate Business Competition at Queen’s University in Kingston in early January. Students Steven Vu and Joe Zhao went head-to-head against teams from five other universities in the competition’s Caro Systems management of information systems category. Started in 1978, the event is Canada’s largest undergraduate business case competition. To reach the finals, students are given one month to analyze a business case and submit their recommendations. The competition received 170 submissions from 41 universities in eight different categories: accounting, business policy, ethics, debating, finance, human resources, marketing and management of information systems. The top six teams in each category competed in the final round. “The final round was pretty challenging. On the day of the competition, you have five and a half hours to read a case, analyze it and prepare a 15-minute presentation with your recommendations to a panel of judges, who are industry specialists,” said Vu, who is finishing his business management diploma. While they didn’t place, Zhao, who is studying entrepreneurial leadership, believes he knows what they need to do to improve. “Our recommendation was good, but the other groups had really good presenters. They had really good delivery. That was our weakness,” he said. He also believes a key to success lies in the support of fellow students. 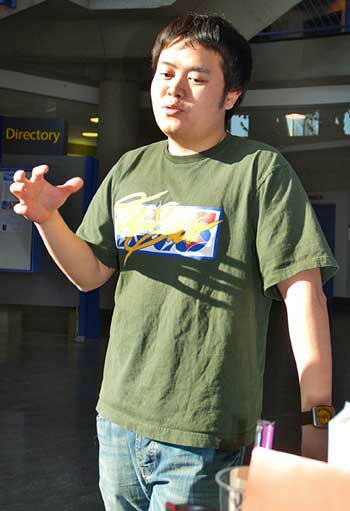 Vu agreed with his partner, adding that many other Kwantlen students he talked to didn’t know that opportunities such as this existed. “The challenge is for Kwantlen to make it more well-known. Because it’s a really good experience,” the 20-year-old said. Win or lose, Vu found the experience invaluable. “It validates my education. It’s one thing to have a degree. But to be able to show people that … [Joe] and I were one of the six [teams] that were selected for the final round, really helps validate that I actually learned something,” he said. Similarly, for Zhao the competition was all about the challenge and the experience. 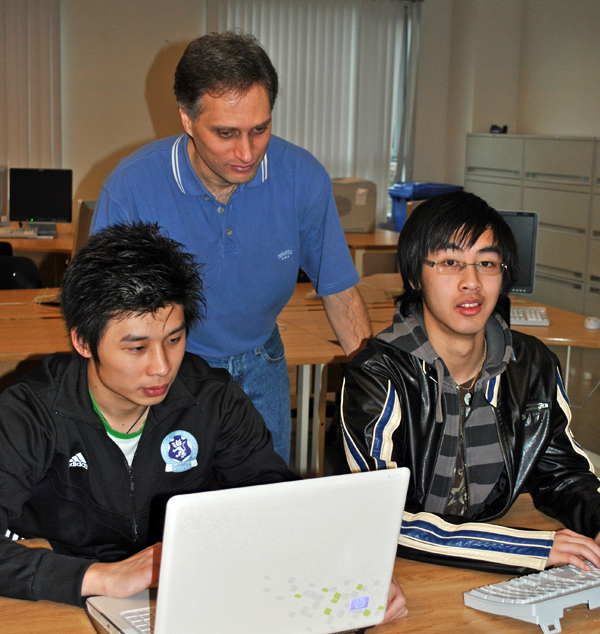 Brock University took top prize in the management of information systems category, with Queen’s University second and UBC third. 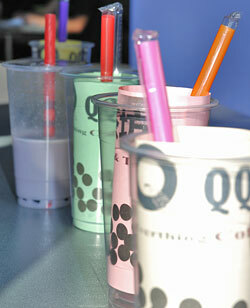 Students at the Richmond campus no longer have to trek to Lansdowne Mall to get their bubble tea fix. Fourth-year business students Patrick Wong, 23, Seulki Kim and Stephanie Sun, both 25, launched their own bubble tea stand in the rotunda of the Richmond campus in mid-February. Wong, Kim and Sun said that they first had to go through several business launch presentations and get approval from their instructors. â€œWeâ€™ve gone through all the health inspections. The inspector came and looked at the sealing, drinks and the fridge,â€ said Wong. The students got ingredients and supplies through connections with a vendor at the Richmond Public Market and were offering several popular flavours of the pre-made and sealed beverage, with prices starting at $4. While bubble tea cafes have become common throughout the Lower Mainland, the first stores only started showing up in the early 2000s Vancouver. The beverage originated in Taiwan, and is distinguished by large tapioca balls, which are mixed with either hot or cold tea. “Bubble” refers to the way the tapioca is cooked, since they balloon into chewy balls after being boiled. The tapioca is called “pearls” after the cooking process. The pearls are tasteless and colourless until they are soaked in a brown-sugar-and-water solution. 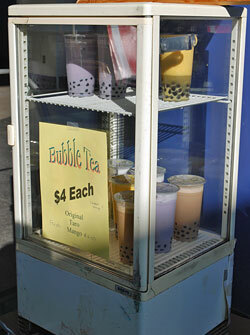 Vendors usually offer two types: milk tea and fruit-flavoured tea. There are also choices between natural tea and fruits or the sweeter, powder-flavoured slush drinks. Wong and his team are offering powdered taro and original flavours as well as a natural mango flavour. Traditionally, students in Asia consume bubble tea during breaks and after school as a snack or dessert. Half way around the world, students at the Richmond campus will have the opportunity to do the same.